AUGUSTA, Ga. - July 26, 2017 - PRLog -- Global Entertainment Technology, Inc., ("GET"), a Wyoming C corporation, has announced advanced research on the imaging, programming and syndication development of another short-form, Saturday night programming element both on Terrestrial and Internet Radio stations from its American Internet & Radio division ("AIR") and its syndication wing, The Miracle Wonderland Radio Company. GET CEO, Dain L. Schult, remarked, "All the talk about regional border-oriented music formats ties in with this specialty programming element GET plans on producing which encapsulates the history and feel of Border Radio that dates back to the 1920's. 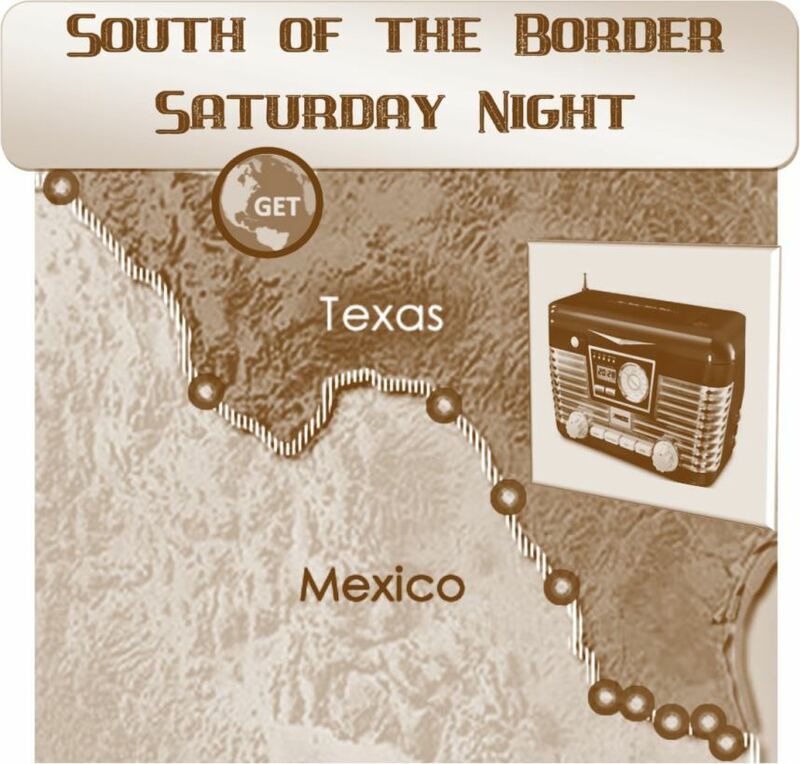 "Border Radio created a radio style that led to, among other things, personality disc jockeys and the development of and spread of Country music where Western Swing and Appalachian bluegrass joined forces while Tejano and Banda music were also gaining popularity on both sides of the United States' southern border. "'Border blasters' are radio stations that used to target the US and broadcast in border towns located on the Mexican side. This is a North American creation and describes Mexican AM stations reaching large parts of the US and Canada. Unlike pirate radio stations which broadcast illegally, border blasters were actually licensed by the Mexican government up until the early 1970's. "In Mexico and the US, while the federal governments of both countries didn't particularly like them, the blasters could flourish. W. Lee ("Pass the Biscuits Pappy") O'Daniel used a border blaster in his successful gubernatorial campaign in Texas. The only restriction placed upon border blasters was a law which prohibited studios in the US from linking by telephone to border blaster transmitters in Mexico. This law (a part of the Brinkley Act) was named after John R. Brinkley's fraudulent medical advice program on XERA. The Brinkley Act remains on the books in the US, as you would suspect, but licenses under that act are now routinely granted if the station follows applicable US and Mexican rules and regs. "Mexican government regulations required these blasters to air La Hora Nacional ("The Mexican National Hour") every Sunday evening and to also play the Mexican National Anthem at Midnight and 6 AM. They were also required to give the top of the hour station identification in Spanish. The border blasters normally did this almost subliminally – softly during commercial breaks so American listeners would hardly notice it. "South of the Border Saturday Night is a paean to all of this – from 'Per-Inquiry-Advertising' to personalities like Wolfman Jack who hit their stride broadcasting from South of the Border to gain national and even international attention, fame and acclaim. In 1973 blaster XERB became famous when George Lucas featured the station as the source for the musical soundtrack of his motion picture American Graffiti with Wolfman Jack as the disc jockey. Wolfman (actual name Bob Smith) got his start at the border blaster in Ciudad Acuna across the Rio Grande River from Del Rio, Texas. "The history of Border Radio is fascinating. The opportunity to create a Saturday night program that harkens back to the variety shows of music, comedy and specialty advertising elements that we believe will bring about a level of creativity and "theater of the mind." We hope to be able to perform live in a variety of locations instead of just producing a studio-based show. "When all the research and development is complete, South of the Border Saturday Night will be available for short form, weekend use by GET stations (both Terrestrial and Internet) and can also be syndicated domestically and internationally." For more information about South of the Border Saturday Night you can contact Dain L. Schult, GET's Chief Executive Officer. This release contains forward-looking statements within the meaning of Section 27A of the Securities Act of 1933, as amended, and section 21B of the Securities and Exchange Act of 1934, as amended. Readers are cautioned not place undue reliance on these forward-looking statements, which are only predictions and only speak as of the date hereof. Forward-looking statements usually contain the words "estimate," "anticipate," "believe," "plan," "expect," or similar expressions and are subject to numerous known and unknown risks and uncertainties. These risks and uncertainties could cause the Company's actual results, once it's fully operational and trading, to differ materially than those indicated in the forward-looking statements. Management regularly provides news and additional information believed to be true and accurate at the time of dissemination but has no requirement to modify, comment or change in the future should circumstances change or information prove to be inaccurate for any reason. This is not a solicitation for funding or investment in the Company. Additionally, GET makes every effort to comply with all applicable laws. : Global Entertainment Technology, Inc.